For over 30 years, Howard Oliver has worked as a professional in the medical field . Oliver specializes in forensic pathology and is noted for his leadership in the Natalie Wood murder case. As a forensic pathologist, Howard Oliver is responsible for determining the cause of death of an individual through autopsy and other medical examinations when the death occurs suddenly, unexpectedly, or unnaturally. Howard Oliver received an honorable education going through years of specialized training in areas such as anatomy, toxicology, ballistics, serology, DNA technology, and more. In 1979, he graduated from A.T. Still University Kirksville College of Osteopathic Medicine. A.T. Still University is recognized as the first osteopathic medical school in the world. 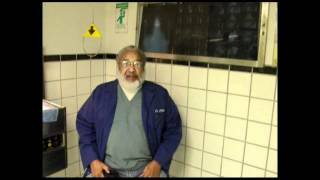 Dr. Howard Oliver is an experienced forensic pathologist. In this blog, he explains the required training and education for a successful career in the field of forensic pathology. Along with his career as a forensic pathologist, Dr. Howard Oliver has also spent time acting and working in television. From 2007 until 2011, Dr. Oliver starred and costarred in a number of television series, news shows, and documentaries related to his field of forensic pathology. Autopsies have existed in some form or another for centuries. One of the first records of it being used for surgical purposes is found in the life of Galen (a disciple of Hippocrates). For a while, autopsies were associated with ancient brutality, but as religion and science converged, the practice gradually became an accepted procedure. It is now considered a legitimate means of medical examination by experts from a variety of fields. With over 30 years of experience in Forensic Pathology, Dr. Howard Oliver has a strong knowledge of autopsies and how and why they are performed. 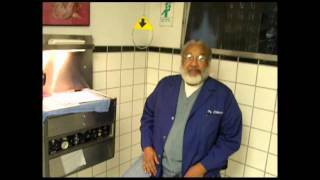 Below, Dr. Howard Oliver describes the basics of autopsies and how they are used in his profession. The History Channel has had some extremely successful, engaging shows throughout its tenure, even if many of them don’t deal exclusively in history, or have anything to do with the past at all. One of the most compelling of those shows goes in the exact opposite direction, as Life After People chronicles just what would happen in the future if people were to suddenly disappear. As a well known and experienced forensic pathologist, Dr. Howard Oliver was given the opportunity to star in several episodes of the show to discuss his knowledge in forensics, death, autopsies, and more. From 2008-2012, 1000 Ways to Die brought us a tongue in cheek look at the many mysterious, dramatic and unusual ways people have been reported to have met their death. The series is much like what Myth Busters does with myths… but with death, and to be honest we’ve been sad ever since it finished a few years ago after a row between the network and those involved with the show. 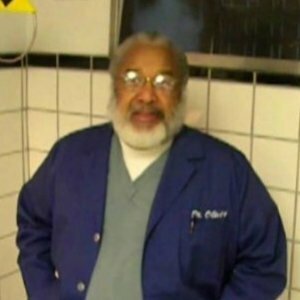 Dr. Howard Oliver has made several appearances on the television series as an expert Forensic Pathologist, explaining the science behind each death. In order to become a forensic pathologist, one must go through many years of specialized training and education. Howard Oliver, MD has achieved an honorable education and extensive training in the field of forensic pathology through residencies, fellowships, internships, medical school, and more. A forensic pathologist’s most vital mission while performing an autopsy is to determine the cause of death. In legal terms, enforcers of law should be able to prove without any qualms that the death was caused due to unnatural reasons or circumstances. In today’s world, statistics relating to murder are such that any unexpected or sudden death of an individual is looked upon with doubt. To rule out any foul play, or to know the exact cause of death, it is imperative, to conduct an autopsy on the deceased person’s body. As an expert forensic pathologist for over 30 years with extensive educational and professional experience, Dr. Howard Oliver has developed a strong knowledge of autopsies and determining the cause of death. Below, Dr. Oliver explains the process a forensic pathologist goes through when determining the cause of death of an individual through natural causes, accident, suicide, homicide, or undetermined. Dr. Howard Oliver loves learning about U.S. History, particularly the U.S. Civil War. In his latest blog post, he discusses and describes some of the most important and significant battles of the war and how they impacted the outcome of the American Civil War. Dr. Howard Oliver discusses his travels to Tokyo Japan, talking about the culture, and sites to see while there.